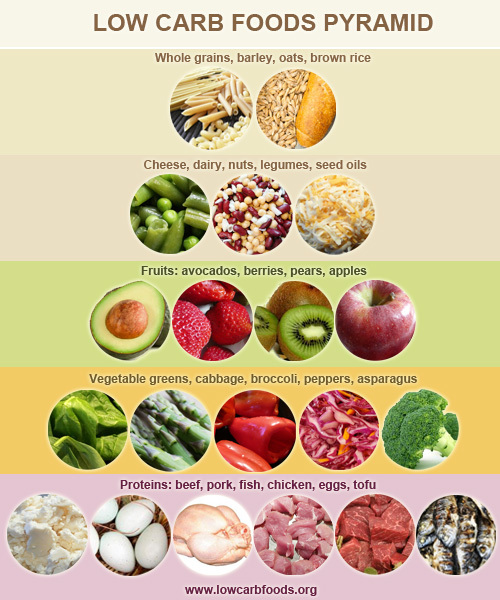 Low carb foods are products that are low in carbohydrate content and high in protein, healthy fats, fiber, and essential nutrients. They are satisfying, nutritionally dense, and healthy and help dieters to lose extra weight. Good or complex carbohydrates get absorbed gradually while bad carbs cause blood sugar level spikes. Hamburger buns, pretzels, potatoes, corn, and white rice are products to avoid. There are healthy foods to consume, including whole wheat products, sunflower and sesame seeds, nuts, soybeans, cheese and cream, and others. The Glycemic Index assigns values to different foods to measure their effect on blood sugar or glucose. This index is important in that some foods trigger spikes in blood glucose while others help maintain steady blood sugar levels. Examples of foods with high GI include branflakes, bagels, scones, and donuts. Foods with a low glycemic index value are healthy and safe, including yam, nuts, chick peas, butter beans, and hummus. Dieters also consume cheese, milk, eggs, and oils such as safflower, grapeseed, extra virgin olive oil. Salad garnishes and vegetables such as okra, leeks, bamboo shoots, and asparagus are also on the allowed list. People are encouraged to drink water and herbal teas. Low carb bars include ingredients such as apple, coconut, cinnamon, berries, and others. Retailers advertise high protein bars and offer meal replacements with a high nutritional value. Opponents point to the fact that they are highly processed and contain artificial flavors and other ingredients. Some ingredients, for example, rolled oats are rich in carbohydrates. Another problem is that high protein bars are very sweet and contain sweeteners such as inulin, acesulfame potassium, sucralose, and glycerin. They are also packed with sugar alcohols, soy-derived products, and processed ingredients. Some diets allow sugar substitutes such as xylitol, stevia, mannitol, erythritol, and others. Xylitol, for example, is a sugar substitute and a type of chemical that is also found in many vegetables and fruits. It is added to candies, mints, desserts for diabetics, some chocolates, and chewing gums. Stevia is also a type of artificial sweetener which is extracted from the plant Stevia rebaudiana. It is found in products such as soy sauce, soft drinks, candies, teas, and others. Mannitol is a sugar alcohol that is added to chewing gums and candies. Erythritol is advertised as a zero-calorie sweetener that doesn't cause blood sugar spikes. Other sugar substitutes include sucralose, saccharin, and aspartame. Dieters use flour substitutes such as soy flour, almond flour, coconut flour, protein powder, and pumpkin puree. Popular plans such as South Beach and Atkins emphasize a healthy and balanced approach to eating and weight loss. 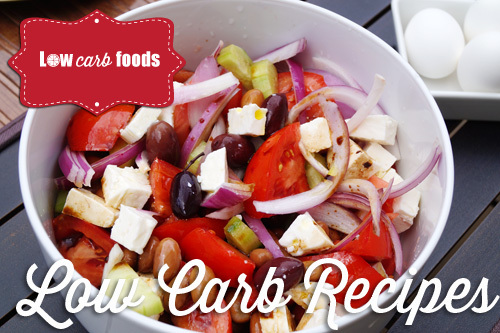 A low carb diet is a nutritional approach based on reduced carbohydrate consumption that focuses on healthy foods such as monounsaturated fats, protein, and vegetables rich in fiber. Reduced-carbohydrate plans often go through several stages, and the initial stage is more restrictive. Different foods and food groups are gradually added to the daily menu. The menu and carbohydrate consumption depends on the plan of choice - Go Lower, Dukan, Ketogenic, Hollywood, High Protein, Scarsdale, and others. These plans are based on the assumption that the body burns fat deposits for energy when carbohydrate consumption is more limited. Some plans are based on a healthy protein, carbohydrate, and fat ratio while others recommend eating foods with low GI (the Low GI Diet). Semi-vegetarian and vegetarian plans and the Mediterranean Diet are also popular choices. Crash diets such as the Beverly Hills Diet are extreme and should be avoided. Vitamin deficiency is also a source of concern because vitamin E, K, and A are found in foods that are high in healthy fats. Some studies also suggest that high carb foods may increase the risk for chronic and serious conditions such as Alzheimer's and heart disease. The consumption of foods that contain bad carbs also increases the risk for diabetes and heart problems. Foods such as whole-grain breads, dark breads, and high-protein products are healthier choices. A healthy diet based on protein-rich foods, complex carbohydrates, and fats lowers LDL cholesterol and blood pressure and thus reduces the risk for stroke, heart attack, and other heart problems. Reduced-carbohydrate plans offer plenty of benefits such as steady weight loss, lower triglyceride levels, lower insulin and blood sugar levels, and many others. There are other benefits to low carbing, including positive effect on diseases and conditions such as Parkinson's, seizures and epilepsy, high fasting blood sugar, and abdominal obesity. According to a study at Duke University, low carb plans also improve glycemic control and have a beneficial effect on type 2 diabetes. Many studies indicate that low carb diets result in more significant health improvements compared to low fat plans. For example, the Duke University study followed patients on a low glycemic and ketogenic plan and found out that the second group lost more weight within a period of 6 months. Following the ketogenic diet resulted in a more drastic reduction in hemoglobin A1 levels, and more patients stopped taking diabetes medications. Another study followed Swedish patients suffering from type 2 diabetes, prediabetes, and ischemic heart disease. Some of the patients followed the Mediterranean Diet while the second group ate foods such as nuts, eggs, vegetables and fruit, fish, and meat. The second group saw significant improvement in weight and glycemic levels. Other studies also prove the beneficial effects of low carb diets. One study published in the New England Journal of Medicine followed people on a low carb and low fat diets. The low carb group lost 2.8 percent more weight on average. Another study focused on patients with severe obesity. Many of the participants were diagnosed with type 2 diabetes and metabolic syndrome. 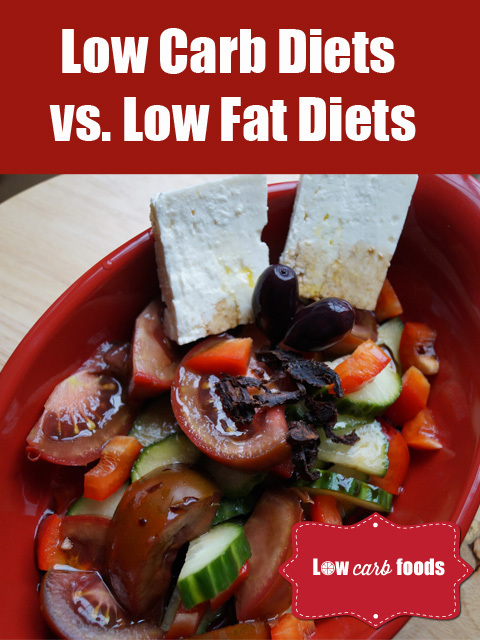 The low carbers lost more weight compared to the low fat group. Other studies have also shown significant improvement in LDL particle size and cholesterol levels. Some critics point to the fact that reduced-carbohydrate plans are hard to follow and lead to diet boredom. While these plans ban simple carbohydrates, there is a wealth of products and recipes to try, from gourmet foods to snacks you can have on the go. Critics also point out that some popular plans exclude foods that supply essential nutrients. Supporters claim that sugary and starchy foods are packed with simple carbohydrates and are empty of nutritional value. Finally, critics claim that low carb plans encourage the consumption of saturated fat. While people consume some foods that are high in saturated fats, many products contain omega-3 and monounsaturated fat. Crash diets involve a drastic reduction of calories and are harmful for human health. Diets such as the Junk Food, Cabbage Soup, and Subway Diet pose health risks associated with nutritional deficiency which can result in tiredness, irritability, food cravings, and depression. In the long term, crash dieting increases the risk for kidney and liver problems, calcium deficiency, osteoporosis, bulimia and anorexia, and other serious problems. 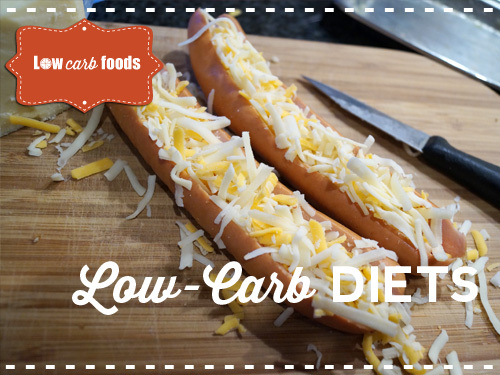 Low carb plans, on the other hand, emphasize a balanced approach to dieting and include all major food groups, the only exception being bad carbohydrates. A low carb diet is a lifestyle change because it is an effective weight loss approach with long term results. Plans such as the Atkins Diet go through an initial phase of quick weight loss followed by a lifetime maintenance phase. Once dieters have found their carb tolerance level, they try to stay within that range to maintain healthy weight throughout life. In this sense, the eating habits developed during earlier stages help dieters to control their weight and are a lifestyle change. People find support in low-carb forums, message boards, and different online networks. Popular plans also offer nutritional advice, recipes, and weight loss tools to help dieters stay on track. Some plans also offer diet-friendly products such as cereals, bread, and cheese, as well as magazines, books, scales, and other products. Newsletters and interactive tools are also available, and some plans offer the option to get professional advice from a weight-loss mentor. Videos, cheat sheets, and apps that offer a database of foods and diet-friendly restaurants are also available.